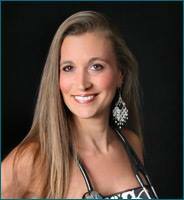 Low Carb Cabana was founded by Elyssa Blissenbach, M.D., a Board Certified Internist who has practiced medicine for more than 15 years. In 1996, she moved to Jacksonville where she set up her practice in Historical Riverside. Over the years, Dr. Blissenbach became increasingly aware of the growing trend of obesity in her practice. Research data proved evident that obesity was quickly becoming an epidemic in the United States. Most importantly, people were developing all of the complications of obesity including diabetes, heart disease, cancer, infertility, and joint destruction. How bad is the problem in America? According to a recent health study, 58 million Americans are overweight; 40 million Americans are obese; and 3 million Americans are morbidly obese. What’s more frightening? Eight out of ten Americans at the age of 25 are overweight. It was enough for Dr. Blissenbach to embark on a mission to establish a medically supervised weight loss clinic within her practice.